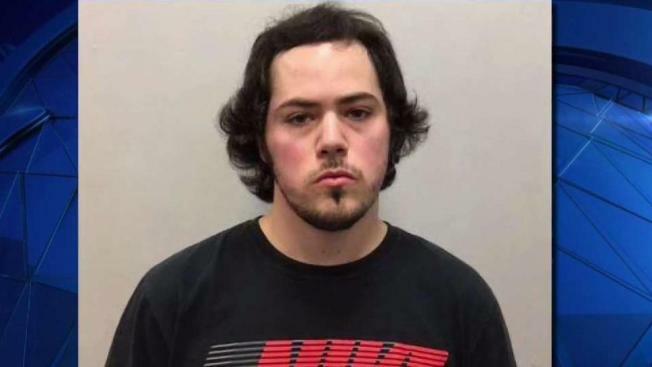 Jordan Lamonde, the suspect in a brutal, unprovoked attack outside a Planet Fitness in Rochester, New Hampshire, will be out on personal recognizance. A grand jury has indicted a New Hampshire man who allegedly attacked a woman outside a fitness club after he accused her boyfriend of stealing money from him. The jury indicted 23-year-old Jordan Lamonde, of Portsmouth, on one felony count of second-degree assault. Lamonde has pleaded not guilty. Police say Lamonde parked outside a Planet Fitness in Rochester for nearly eight hours June 12 before attacking an 18-year-old woman as she got off work there. Court records show Lamonde is accused of striking the girl around 40 times. The indictment states the man recklessly caused bodily injury to the victim while showing "extreme indifference" to the value of human life. Lamonde could face 3 years to seven years in prison if convicted.